Suro Records is proud to present Marcelo Demarco’s new release armed with some powerful sounds to rock the dance floors around the globe. Don’t miss this two-tracker delivered by the talented Uruguayan DJ/Producer ready to surprise you with this strong EP. A true story is basically the best of SURO records for 2015 on a Techno themed compilation featuring tracks from: Brisboys, Marcelo Demarco, Darren Doherty, Chily, 663 Degree and G Rush & Stardice. Believe it or not it is a True Story. Richie Hawtin, Pascal Feos, Paco Osuna, Marco Carola, Luciano, Tom Novy, Stacey Pullen, Joseph Capriati, Anderson Noise, Sossa and many more!!! On this new single release Marcelo Demarco presents a more organic approach fusing an hypnotic melody with a solid bassline and his characteristic percussive elements to create a bubbling dynamic groove while quoting Allan Poe’s darkest verses. This haunting track revolves around the sound of violins alternating with the synth melody on a tormented atmosphere. On track b Brisboys create a powerful sound that comes alive at the very beginning with a Techno version that push the groove deliciously around those perfectly filtered vocals. One of the finest works from this skillful duo in this imprint without any doubt. 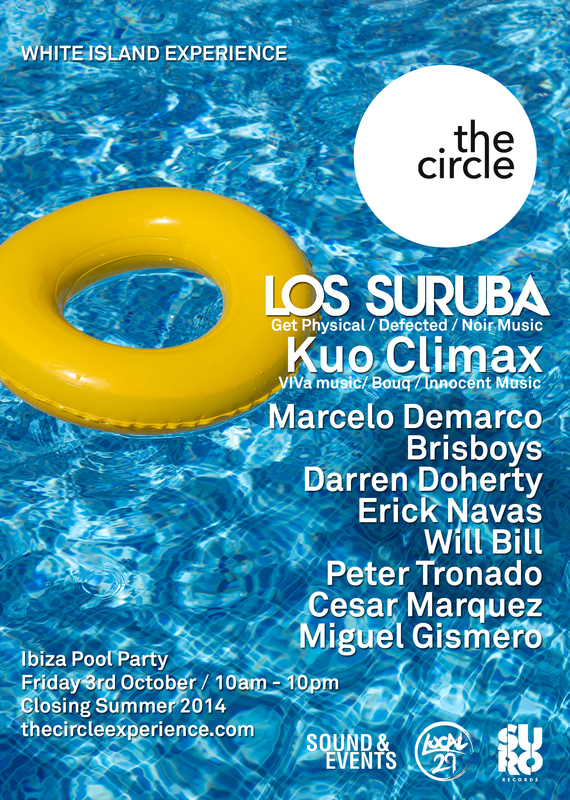 The Circle brings Punta del Este to London. 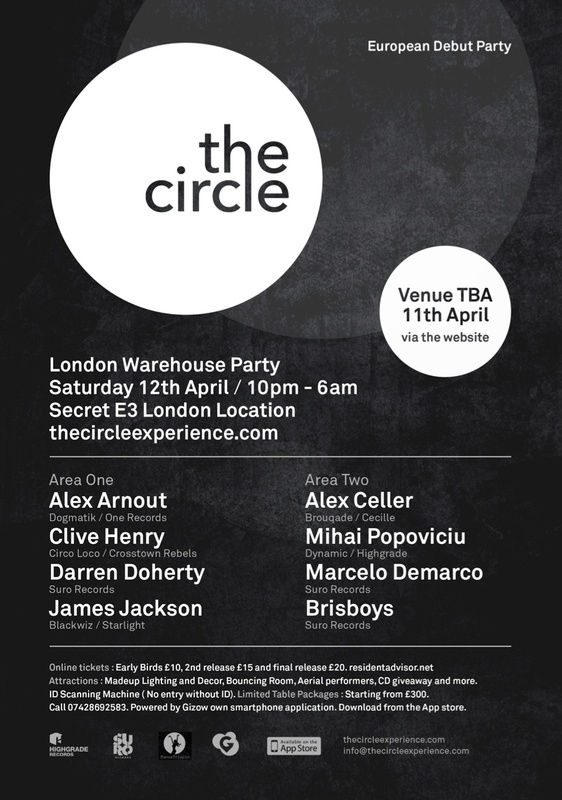 Be in the Circle and celebrate our first Warehouse London Party.